The opening scenes of the play illustrates some of the ways Shakespeare uses language to paint a picture,develop characters, and use dramatic devices to convey tone and meaning to the audience. The first thing the audience hears is the three witches.The opening dialogue consists of rhyming couplets, which creates a certain rythym when reading or listening. *Ask yourself: What feeling does this rythym evoke? Does it remind you of anything? How does this contribute to the overall tone of the opening? 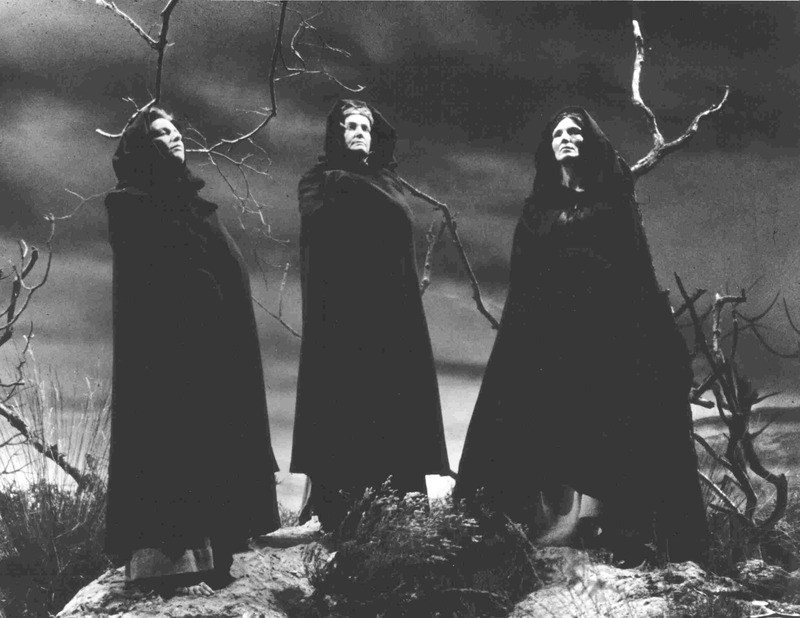 Structurally, the Witches replace the chorus traditionally employed by Shakespeare at the beginning of an Act. Their use of the phrase "Fair is foul, and foul is fair" will reappear throughout the play,in various manifestations. One question to keep in mind: If the witches are "foul" or "fair"...are they telling Macbeth the truth inform of prophecy, or are they planting seeds of evil in his consciousness? My personal take on this is that inside the Globe Theatre, voices in number would signify something to the audience: "Introduction", "The Scene is Set", or "Put Down Your Tankard of Mead & Pay Attention" are some of the messages that could be sent by using multiple voices in addressing the audience. It's important to remember the setting, which may have played a part in how Shakespeare developed his dialogue. We are trying to come up with a good essay title for a 1000 word analytical study - do you have any ideas?